When it comes to designing a custom home it is difficult to know how big to make it. Nobody wants a house that is smaller than they can afford, but if it is too large it will be too expensive. When you design a house it costs money to get it drafted, so that you can get quotes. Then, if it is too expensive, all that money is wasted. At Kalana Homes we have the solution ! 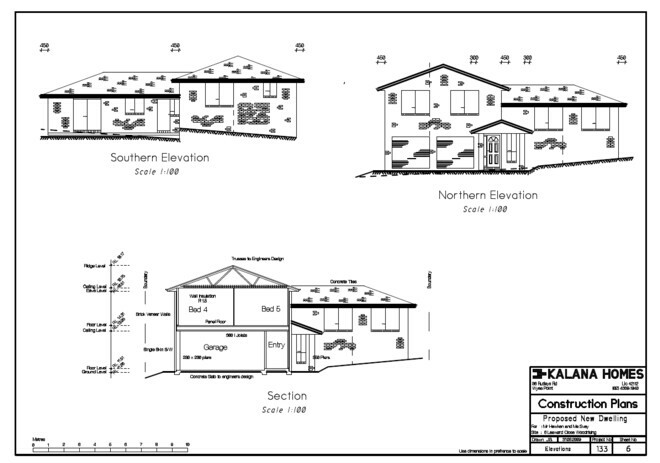 We will draft the floor plan and front elevation, from your sketches, free of charge. We can then give you a quote, to construct the house, based on those plans. All this is done Free of Charge and without obligation. You can even take the plans to get a comparison quote on the construction of the project. If for any reason you do not wish to proceed with our quote, but would like Kalana Homes to complete the drafting of the plans we will give you a quote to do so. If you are happy with our quote we will complete the plans, submit them to the local council for Development approval, draw up a building agreement, then construct your new home.